Goats are loveable animals and have been raised for food and meat purposes throughout the history of human civilisation. Even today, a village without goats is unimaginable where the natives sell them to butchers or keep them while profiting from their milk. 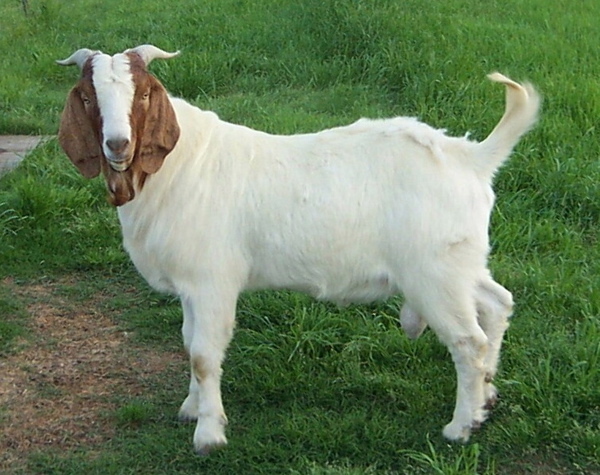 However, goats require some caring, while some goats do not have horns; many others grow dangerously long horns which can be a threat to their owners as well as to other goats. Remember a goat might actually not attack you but its horns could accidently cause enough damage to cost you your life or the life of another animal. A common practice among villagers to keep their goats safe is dehorning. By doing this they prevent the goats from hurting themselves and others around them. However, while carrying out the dehorning, you need to keep in mind a few steps for the safety of your goat. The first step is to trim or shave the hair at the base of the horns using a #20 or #40 blade. Make sure that you shave the hair from the spot where the horns are attached to the skull. With full force you now have to straddle the goat and hold it tight between your legs, but you cannot do this on your own so it is best that you get a helper who will hold the goat by the head. Now you need to give the goat a tetanus inoculation right between the shoulder blades to prevent infections. Remember this is very important as you do not want your goat to catch any infections during the healing period. Always sharpen your knives or saw before straddling the goat. If the tools are not sharp, they will cause pain and problems for your animal which needs to be avoided. Holding the knife/saw tightly in your hand, you need to cut a notch at the back and on the front of the horn right at the base, close to the skull. However, do not make a cut on the skull. In order to prevent the horn from moving around or slipping off, it is advised that you place a castrating band over the top of both horns. Also cover each band with a piece of duct tape and wrap around the base to further prevent the band from moving.